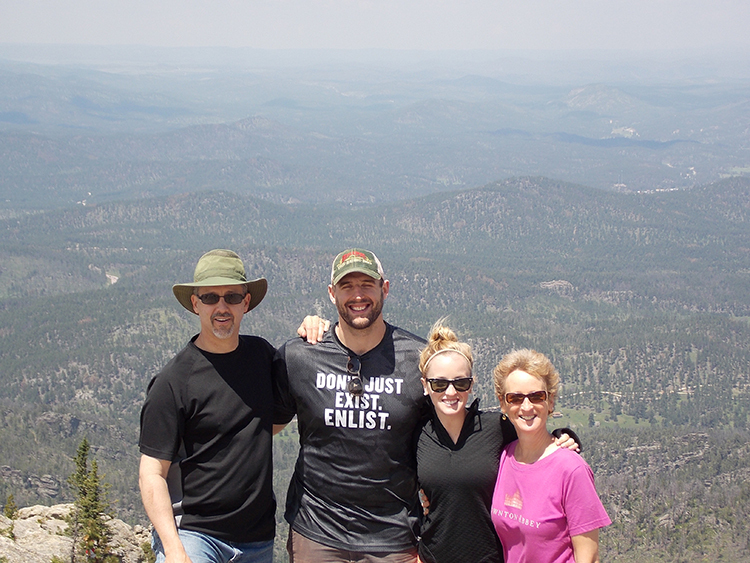 Recently, Becky and I were able to take a vacation out to South Dakota, and we were also able to take our oldest daughter, Stacy, and her husband, Andrew. We had a blast! Dairy Queen, the Badlands, an automatic dairy farm, hiking, Mount Rushmore, seeing family, card games, the Black Hills, car time, etc. 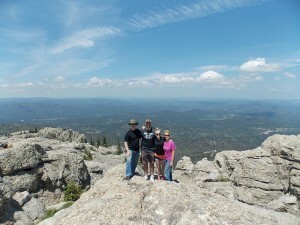 Hiking in the Black Hills was a great reminder of how small we are. Sometimes, it’s great to be reminded how small we are, and how big God is! The photo of us on a mountaintop was taken at the summit of Mt. Harney. 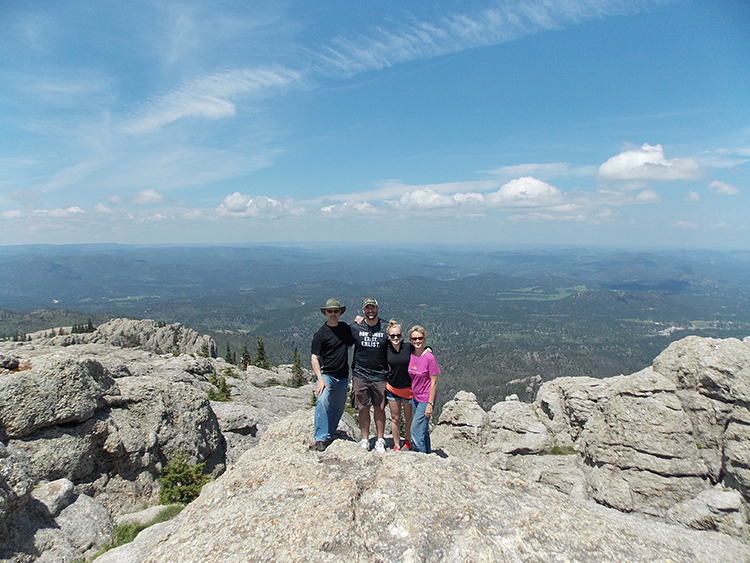 At 7,200 feet, it offers an incredible vista of the surrounding area. How can you not worship in a location like that? On the way to South Dakota, we took time to stop by Balaton, Minnesota, where Becky and I spent 3½ years as pastor and wife. This was our very first church right out of seminary. The church is located in the gentle cornfields of southwestern Minnesota, where many Scandinavians settled over the last few hundred years. Our church was called, fittingly, Skandia Evangelical Free Church. Moving to Balaton (population 753) was a cross-cultural adventure for us back in 1987. We had a rotor phone, a party line, had to burn our own trash, and fetched our own water at a local state park. We grew veggies in a garden, “walked beans,” rode on tractors, hunted deer, and butchered chickens. It was a lot of fun. Pastoring Skandia Free was also a huge learning experience. We learned about pastoral care, loving a flock, dealing with church discipline, and living on little financially. For example, sometimes the church didn’t have enough money to pay our salary, so we’d get a partial check for that month. Sometimes, our next-door neighbor would ask us to help butcher chickens and then give us several chickens to eat. 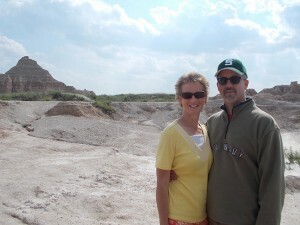 Our years at Skandia were precious and challenging for Becky and me. We were called to serve and lead a great group of folks through some very difficult waters. We still miss them, and we have often gone back to visit over the years. Taking Stacy and Andrew there was a lot of fun. It also gave us many hours afterwards to talk about some of the lessons we learned there. We reminisced, laughed, and told them a number of stories about being a pastor and wife in rural America. Becky and I thank God for those 3½ years in Balaton. We will never be the same.